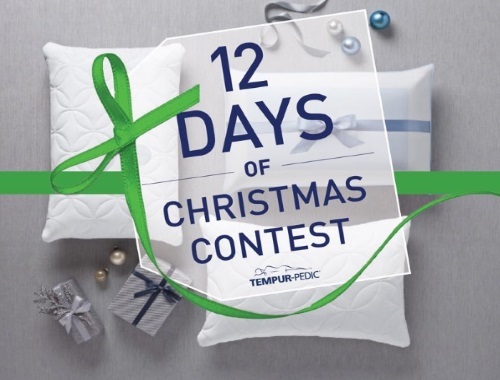 Tempur-pedic has a 12 Days of Christmas Contest! Enter to Win a Queen Size Tempur-pedic Mattress & Adjustable Base or 1 of 11 other prizes as we count down the 12 Days of Christmas with over $9,000 in Prizes to be Won! A winner will be announced every day December 14-25, 2017. Contest closes December 6, 2017. Quebec, Yukon and NWT are excluded.